Black Metal elite, BELPHEGOR is confirmed their participation in Imperative Music Compilation DVD Volume 16. No comments, absolutely brutal and dark! 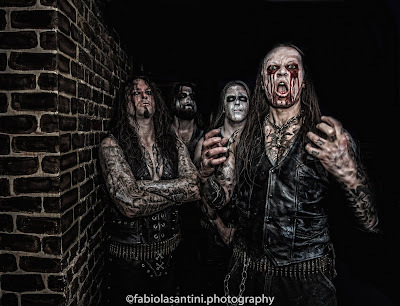 Belphegor will unleash their new full-length album, Totenritual by Nuclear Blast Records. We are starting the activities in the production of this volume sixteen of Imperative Music Compilation. Joins this fantastic project and worldwide joining the forces of great professionals [labels / distributors / media]. Honor to Frank M Heafield... R.I.P.